Amazing time with amazing People at a great University with great teachers. Erasmus in Athens was one of the best experiences of my life. I had the opportunity to learn more about Greece, to see interesting places in Athens and meet great people. At the Univesity I found the most interesting subject for me, from my whole studies, Consumer Behavior - I can really recommend it. I had really great time and I miss Greece so much. Bud I started to be addicted to coffee here, so be careful because Greek Frappe is addictive :D And I miss sunny weather so much, too. My erasmus experience in Athens was amazing, probably one of the best moments in my life. Greece and its inhabitants have given me pleasure, fun, joy, warmth and kindness. The beauty of Greece cannot be described. The islands, the beach, the sea, the cities, everything together with the lovely weather is great! I would like to mention that ESN, the exchange student network, together with our Erasmus coordinator did a magnificent job guiding all the eramsus students and they tried to give us everything they had to offer. Without them it would've never been this great. The parties, the laughter, the studies, the different languages & cultures, I will never ever forget this. I made friends for life in this city. They will take part in my life, my crazy mind and my heart. I can go on and on talking about Erasmus, but the most important thing is and always will be that I feel as if my heart has been divided into two pieces. Both Athens and Antwerp feel like home now and I will cherish it forever. Ελλάδα you are amazing! Thank you for everything that you have given me! 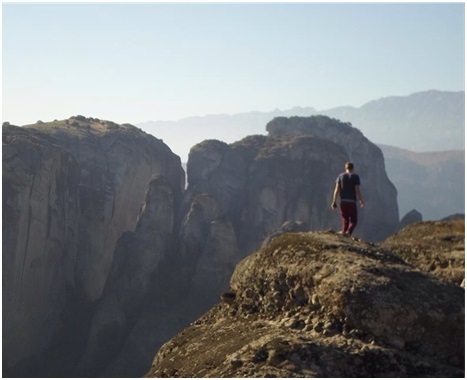 As a freemover I really had to organize everything on my own, but I knew it was worth it, as I have Greek roots and as I knew a lot about this incredible city, Athens. I study in Germany and the first days in Athens were really hot and 'new'. Luckily we had a great international coordinator at the AUEB, who, for sure, made our life's easier by helping us with accommodation, courses, professors and in personal life. She really was available 24/7 for our problems and tried to solve them all individually! First we had to get to know each other, but that wasn't a problem, because everyone was so open-minded and willing to get in touch with others. 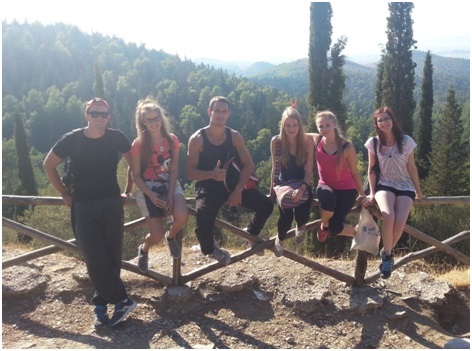 The great esn Athens AUEB team helped a lot, as they organized many trips and games, such as city and bar tours. We visited famous and touristic places, such as the Acropolis, Plaka and some nice museums and furthermore we met all together to have nice traditional Greek food and drinks. The atmosphere was awesome, people happy and the contact flow went on its own! The trips organized by esn and on our own were incredible. We all had for sure one of the best experiences in our lives and a great time. Even though we had classes we enjoyed the warm days and nights at the beach, in bars, on rooftops and on public squares. Spending time all together was what we all wanted, which doesn't mean that we didn't attend courses. Even the Christmas vacations were as if we were with our family, because at this period of life these friends are like your family. We all learned a lot for our professional but more for our social and personal life. The moments we had were unbelievable, warm, happy, sad (especially when we had to leave), full of life and joy and I am happy that I did this great experience, because without it I would miss the friendships I have now. We already did the first reunion 2 months later with my best friends and again we felt like 'home'! And as a positive effect I think that most students improve their English a lot without even realizing it.. Hence, I would recommend to everybody who is thinking about an exchange year to do it with Erasmus, because it is much easier to find friends and people, as I compared it with some other friends of my home institution, but to do it anyway! Furthermore I would recommend a southern country, such as Greece and a huge city, because the winter there is warm and smooth, sunny and dry and I would choose a big city because there are many possibilities to spend the spare time with basketball, football, swimming etc. Athens has also the big port which links this lovely ancient city with hundreds of islands you can visit on weekends with student discount! And except for that, Greece, and especially Athens, is the birthplace of democracy, philosophy, mathematics and physics (etc. etc. ), which makes the country traditional and modern at the same time!! So, as the great and helpful esn team's slogan is 'live it_love it'! We really lived and still love it! Since that day so many months have passed by. I had met new friends, I've visited new places, I've learned many things and especially, I've changed myself. Better than before? Yes, I don't have doubts about. I've learned how to measure my self and my limits more than before, I've learned to live alone cooking, washing, cleaning, I've learn how to act with people in a different way, I've learned how to act with a culture that is different from the one I grow up with, act with people that have different habits and manners. I learned to count on myself, and on my skills far away from my "homesweethome" with the family, the best-friends that can always help. But at the same time, I met new people, new persons, that opened more my mind over the prejudices and the ideological-geographical borders that I, and I guess more of the erasmus students, obviously came here with. But more than everything, over the parties, the trips, the school, the ouzo, I discovered a beautiful country with a great history and a great culture made of proud people. A country that is part of this Europe. This Europe that, in the end, is just our big family..."
Athens is probably one of the most appropriate European cities to make an ERASMUS experience. Of course, the weather deals with that, but there are also numerous good places in this city to have great time. Greek people are very welcoming and nice. Moreover, the AUEB University proposes very interesting classes and of very high quality. 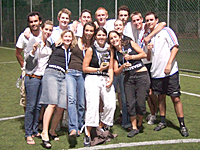 However, the ESN Office takes great care of incomer students so as everything to be perfect and organizes unique events. Going back to my country will be very sad. Until now my ERASMUS period is great!!! The sun is almost always shining in Athens! We go to the AUEB University and attend its interesting courses. We also have enough time to visit some nice places, go to parties and go to the famous Greek islands that are of extraordinary beauty! 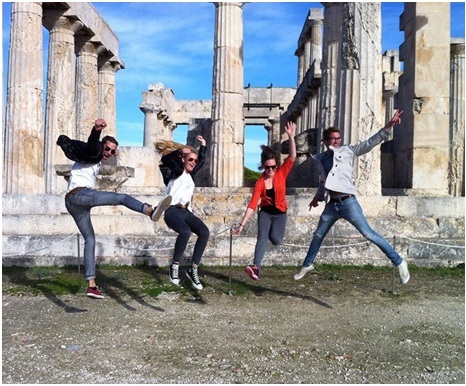 So ERASMUS students can really adopt the Greek culture. I can say that Athens is a lovely city to stay and my living here is an experience I'll never forget.